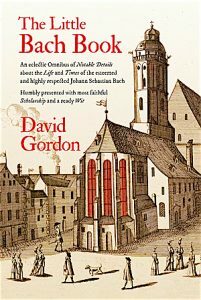 After decades of singing Bach’s music and lecturing about Bach and his life in the early 1700s, David Gordon has compiled this personal assortment of historical anecdotes, scholarly explanations, vintage illustrations, time lines, bits of pathos, gritty vignettes of everyday life, and colorful glimpses of Bach and the world around him. It’s a 150-page collection of vignettes of Bach’s life as a salaried professional musician presented within a broad context of middle-class daily life in Germany in the early 1700s. During the three decades Bach lived in Leipzig, what did the city’s residents eat, drink, and wear, how did they bathe and cook? What fuels heated and illuminated their homes? How many weekly church services were there in Leipzig in 1727, and how many taverns? The Little Bach Book is a richly-illustrated down-to-earth look at Bach’s life and times. 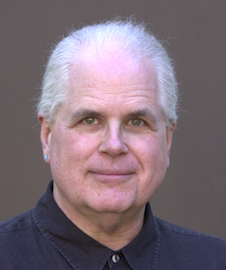 It does not discuss or analyze Bach’s music, and no knowledge of music is needed to enjoy all the contents. For the newcomer to Bach, for the experienced Bach aficionado, and for the non-musical history buff, this book is meant to be entertaining, moving, and surprising.